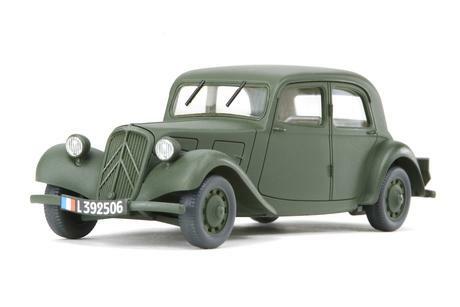 The Citroen 11CV produced from 1934 to 1957 also known as one of the France"s best vehicles at that time now joins Tamiya"s 1/48 Military Miniature Collection. The 11CV featured a lightweight monocoque body and a low center of gravity front wheel drive setup with torsion bar spring suspension system which gave it a superior performance. They were widely used by the French military and thereby large numbers of them were used by German forces with the capture of France. They were deployed throughout Europe, Russia, and North Africa. Special Feature 2 The model features pad printed markings. Special Feature 3 A light weathering has been applied to enhance the realistic appearance of the model. 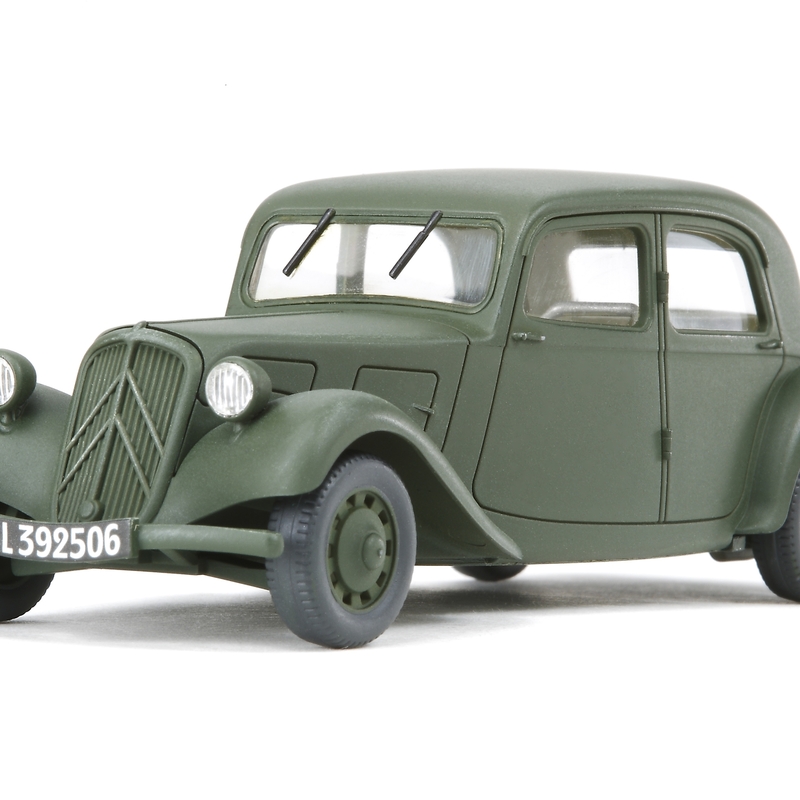 Special Feature 4 The model's underside and suspension area have been accurately reproduced.